Redemption was theme Saturday at the Power Move Winter Showcase. After being postponed last month, the one-day high school basketball mixer took place at the Poly-Western complex. No. 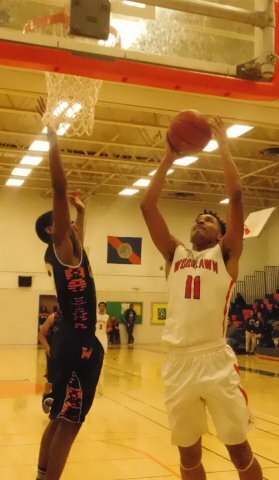 4 Poly and 13th-ranked Woodlawn boys and Roland Park Country girls gained satisfication with victories. The fourth-ranked Reds defeated No. 3 Western, 82-70, in a front of a standing-room only crowd inside the Doves’ gym. Freshman forward Mira McLean posted a double-double of 23 points and 20 rebounds for Roland Park (15-6 overall), and Ja’Niah Henson added 19. Junior guard Jasmine Walton finished with a game-high 34 points for Western (14-3). The Reds built an impressive 15-point halftime lead before repelling a Dove second half rally to close their week on a high note. Monday, Roland Park was routed by second-ranked McDonogh School, 72-38. Reds captain and senior shooting guard Jeydah Johnson said the loss refocused her team. Johnson, a Long Island University-Brooklyn recruit, added 16 points and Aniyah Carpenter finished with 11. The story was McLean, whose mother Ayanna, was a key part of Western’s powerhouse teams in the late 1980s. McLean, 5-foot-10, scored 12 points in the opening half, including an offensive rebound and basket, putting Roland Park up 31-21. A 3-pointer from Johnson followed with two free throws and a transition basket by Henson, capped a 29-9 surge that gave a Reds a 38-21 lead late in the half. The Doves, the reigning Baltimore City Division I champ, responded in the second half behind Walton. Walton, who scored 20 points in the second half, got Western to 61-59 in the fourth on a follow-up. Roland Park answered with eight straight, started by Carpenter grabbing a defensive rebound and going end-to-end for a layup. The Doves clawed back to 71-67 with 2:47 remaining in regulation, but Johnson, arguably the area’s top 3-point shooter, reversed momentum with a dagger. Johnson said Roland Park had extra motivation. Hawkins added 11 points for Western and Makayla Pickens had 10. It was the first area loss this season for the Doves, who reached the Class 4A state final last year. Western coach Tasha Townsend said rebounding and transition defense was problematic. In another Top 20 match, No. 7 Seton Keough (12-10) got 13 points from senior Sydney Mitchell and Brittini Smith added 11 in a 53-39 decision over 13th-ranked Poly inside Augie Waibel Gym. Jade Porter and Cache’ Wilson each had eight points for Poly (11-5). No. 2 McDonogh rebounded from Wednesday’s disappointing loss to top-ranked St. Frances Academy with a 63-55 victory over Frederick. Junior shooting guard Kayla Liles led McDonogh (20-2) with 18 points, and Taleah Dixon finished with 13. No. 9 Catonsville (18-1) got 34 points from junior forward Jasmine Dickey in a 71-53 victory over Archbishop Spalding (4-15) at Poly. Freshman forward Eniyah Russell scored 26 points as Coppin Academy defeated No. 17 Mount de Sales (17-5) , 62-44. No. 19 Institute of Notre Dame (14-5) bounced back from Friday’s loss to 16th-ranked St. John’s Catholic Prep with a 47-28 decision over Dunbar. Mercy (defeated Mervo), (Milford Mill (59-20 over Notre Dame Prep), Northwestern (48-34 over Mount Carmel) were victorious while Maryvale Prep dropped a 68-45 decision to southern Maryland powerhouse North Point. Jamal Lane needed a couple of days to shake off missing a game-tying shot in the final seconds against Perry Hall a couple of weeks ago. The Woodlawn senior’s basket with 1:05 left in regulation was the difference as the 13th-ranked Warriors defeated No. 8 McDonogh, 49-45, in the first of two boys’ matches. Lane finished with 14 points for Woodlawn, which won its fourth straight decision. 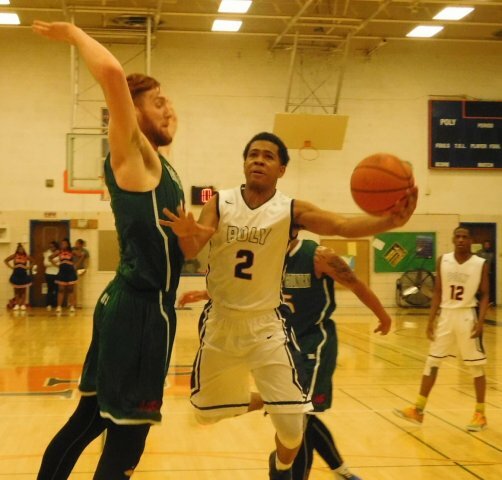 Senior guard Damian Chong Qui had 19 points for McDonogh, and Noah Locke added 14. With the game deadlocked at 45, Lane got a pass from teammate Christon Wright, drove the baseline and put the ball off the glass for the lead. Against Perry Hall, he missed a shot right under the basket as time expired. Tyrique Gather, Lane and Nijelh Redd each hit two free throws in the final 29 seconds for the Baltimore County school, which opened the second half with an 8-0 run to grab its largest lead, 28-23. McDonogh rallied to tie at 35 going into the fourth and had a 45-43 advantage after Locke’s basket with 2:29 left in regulation. The Eagles didn’t make another shot until Locke’s heave at the buzzer. Since handing then-No. 2 Dunbar its first loss, the Owings Mills school have dropped three straight. The other boys’ match was a mismatch as Poly routed No. 11 Glenelg Country School, 60-30. Junior wing Demetrius Mims scored 20 points for the Engineers, and Temple University commit De’Vondre Perry contributed 17. 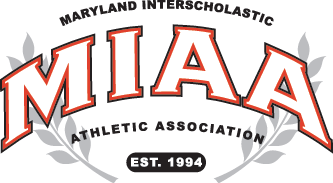 The reigning Baltimore City Division I champs smothered the MIAA A Conference program, leading by as many as 33 points in the second half. After a rough non-league stretch in December, Poly has won eight of nine, with the lone loss against nationally-ranked Simeon from Chicago. Engineers coach Sam Brand said his team is locking in defensively. “When we start strong defensively, we can get out in transition, get open dunks, hit threes and do what we like to do, play fast,” said Mims. Poly held Glenelg Country without a field goal nearly seven minutes, going on a 20-3 run to acquire a 35-11 midway in the third quarter. It was 49-22 after a Perry alley-oop dunk closed the third quarter. Mims opened the fourth with a dunk, and finished a pass from Perry for a 55-22 advantage with 6:09 left in regulation. The Engineers never trailed after Perry’s 3-pointer, put them up 5-4 in the first quarter. Isaiah Burnett, who had six 3-pointers Friday evening, had six points to lead Glenelg Country Saturday. After scoring 83 points with 14 3-pointers in a non-league rout of IDEA Charter (D.C.) Friday, the Dragons made just 10 baskets Saturday. Glenelg Country coach Kevin Quinlan said it was the worst performance in his 10 years of coaching. The surging Engineers host top-ranked Patterson late Tuesday afternoon in a possible city final preview. Both teams are currently undefeated in Division I play. Glenelg Country – Fanning 2, Gabbidon 5, Horatko 2, Wilson 5, Nedurumalli 2, Longpre’ 5, Etuaful 3, Burnett 6. Totals 10 9-12 30. Poly – Mims 20, Perry 17, Weaver 3, Ali 5, Tates 2, Walker 3, Jones 2, Stephens 6, Horton 2. Totals 22 11-19 60. McDonogh – Chong Qui 19, Willis 3, Hudson 3, Brown 4, Little 4, Pickett 3, Locke 14. Totals 15 16-21 50. Woodlawn – Garrison 2, Wright 8, Brinkley 7, Gaither 11, Redd 9, Rice 2, Lane 14. Totals 18 14-19 53. Spalding – Evans 14, Bender 12, Joseph 8, Rosemond 6, Smith 5, Keys 4, Dzambo 2, Stump 2. Totals 16 14-24 53. Catonsville – Dickey 34, J. Barrett 9, Gast 9, Daniels 8, Lally 5, Porblas 4, A. Barrett 1, Meghan 1. Totals 20 30-50 71. Roland Park Country – Henson 19, Green 7, McLean 23, Johnson 16, Carpenter 11, Robinson 6. Totals 29 18-22 82. Western – Johnson 4, Pickens 10, Jackson 3, Delaney 7, Walton 34, Hawkins 11. Totals 27 15-24 71. Seton Keough – Bacon 6, Mitchell 13, Lewis 10, Smith 11, Addison 7, Lawson 7. Totals 21 8-16 53. Poly – Wilson 8, Gross 2, Eaddy 3, Townes 4, Ridgeway 4, Smith 3, Porter 8, Weems 2, Ayers 2, Galloway 2. Totals 12 13-19 39. McDonogh – Dixon 13, Nelson 15, Green 7, Liles 18, Jacobs 2, Davis 4, Booth 4. Totals 21 19-27 62. Frederick – Wade 12, Lithicum 6, Keene 4, Hall 6, Daniels 27. Totals 16 23-27 55.